It's not easy being the son of a famous scientist, Monty Scott will tell you. One day he's happily helping his dad in his laboratory, the next he's saving him from his own devices! The latest incident involves a portal that allows Dr Scott to travel between two parallel worlds, which he named Terra (our own world) and Fable. Dr Scott ventured into Fable all by himself, and radio contact was soon lost. Now it's up to Monty - and his fearless dog Nicemoon - to rescue Dr Scott by travelling between the two worlds and solving the mysteries of Fable. But Monty will have to be extra careful, as Fable is filled with dangerous creatures and traps! Armed with such weapons as slingshots and marbles, Monty will have to use his brains to stay safe and locate his father, and he can also trade places with Nicemoon to explore Fable even further! 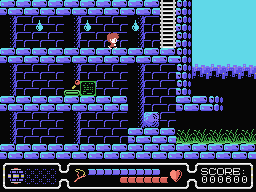 After he finished working on Children of the Night and Frostbite, Antoni Burguera spent several months in 2016 working on important university projects, and once these projects came to pass, Antoni found himself in the mood to create another brand new ColecoVision game. This was in response to an offer I made to him in the summer of 2016, to publish another ColecoVision game, and I essentially signed a blank check: It could be any game he wanted to do, just as long as it was a quality game. 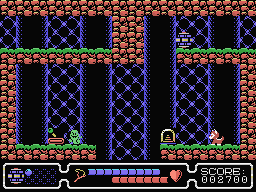 The game is 32K in size, but is jam-packed with areas to explore, and doesn't require the Super Game Module. 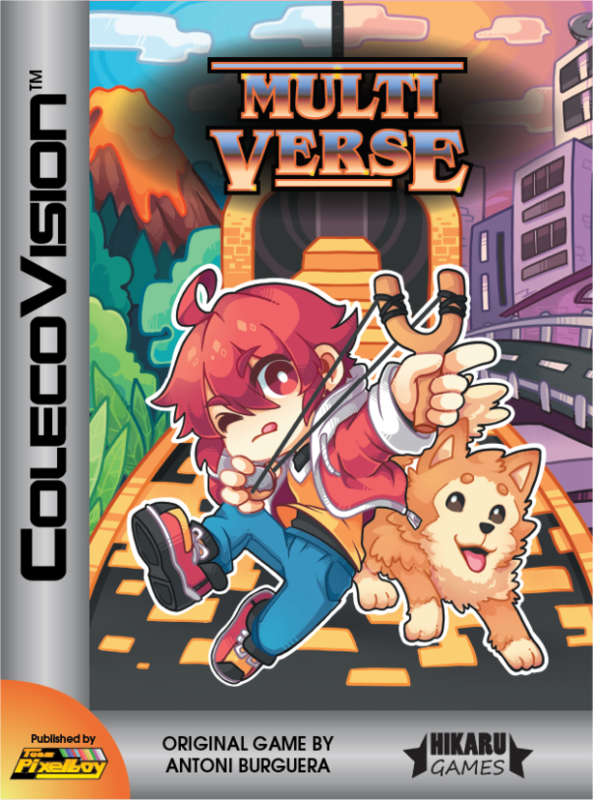 Multiverse should be released in spring 2019. Programming of this game was done by Antoni Burguera. Here is a YouTube video of the ColecoVision version.